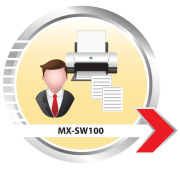 The MX-SW100, Print Release Software gives everyone in your office control in how you print. It works by storing documents on a server until required, rather than printing them out immediately. And that means fewer visits to the Multifunctional Products (MFP’s) or printers, less waiting around, imporved document security and reduced waste. With Sharp’s Portal Connector, Sharp OSA enabled Sharp MFPs can become and essential part of business processes for your organization. Providing seamless integration with Microsoft Sharepoint, Portal Connector enables streamlined communication by instantly scanning hard copy documents, and printing documents stored on SharePoint at any connected Sharp MFP on the network. 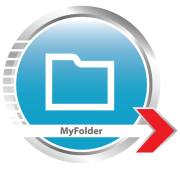 Scan and send documents to your shared Network folder faster and in a more productive way with the My Folder Connector. More Conveniently, for IT administrators who want to simplify the scanning process and give users access to the “Home Folders”, the Sharp My Folder Connector is the solution. Take document scanning to the next level with the power and extensibility of Sharp OSA technology. Using Sharp’s E-Mail Connector, Sharp OSA enabled Multifunction Products (MFP) can now become an essential part of business process in the organization. Integrated with Mircrosoft Exchange Server, you can scan and send your mission critical document faster and in a more productive way with Sharp E-Mail Connector. OnBase® Connector – With the OnBase connector, Sharp MFPs provide seamless integration with OnBase enterprise content management software by Hyland Software®. This enables users to upload scanned physical documents into OnBase as well as enter keywords right from the MFP. The OnBase connector will help establish critical industry-specific business processes in the enterprise, healthcare, education and more. Connector – The OneDrive connector helps meet the increased demand for and adoption of Microsoft cloud services. The OneDrive Connector allows users to scan documents to and print from their Microsoft OneDrive for business account directly from the Sharp MFP. Seamless integration with Microsoft OneDrive brings additional convenience and productivity for cloud-enabled workplaces.